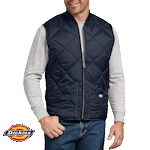 Slip on this vest to stay cool and comfortable with front and back mesh fabric. 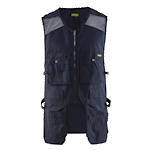 Includes phone pocket, pen pocket, front and back nail pockets and a side hammer loop to hold everything you need to make the job a breeze. 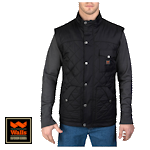 From its diamond quilted lining to its drop tail, this vest is designed to deliver warmth and protection from the elements. 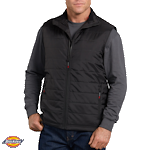 This vest's main fabric is Blaklader's new heavily tested Rip-Stop material. 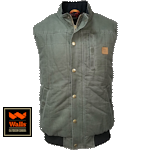 Its lightweight, comfortable, and extremely durable. Water-repellent Kevlar® fabric means you stay dry and protected. 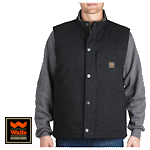 Sleeveless styling means you can swing an axe or wrangle pipe without binding.